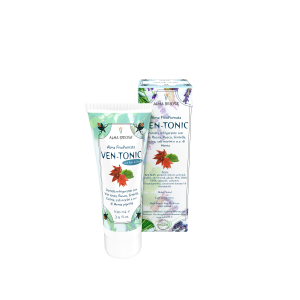 Soft and refreshing ointment suitable for tired and heavy legs. It contains sea salt, known for its anti-fatigue and draining properties. Butcher's Broom, Horse Chestnut and Centella extracts perform a toning and soothing effect on microcirculation. The ointment also contains the refreshing Peppermint essential oil that stimulates and promotes skin microcirculation. 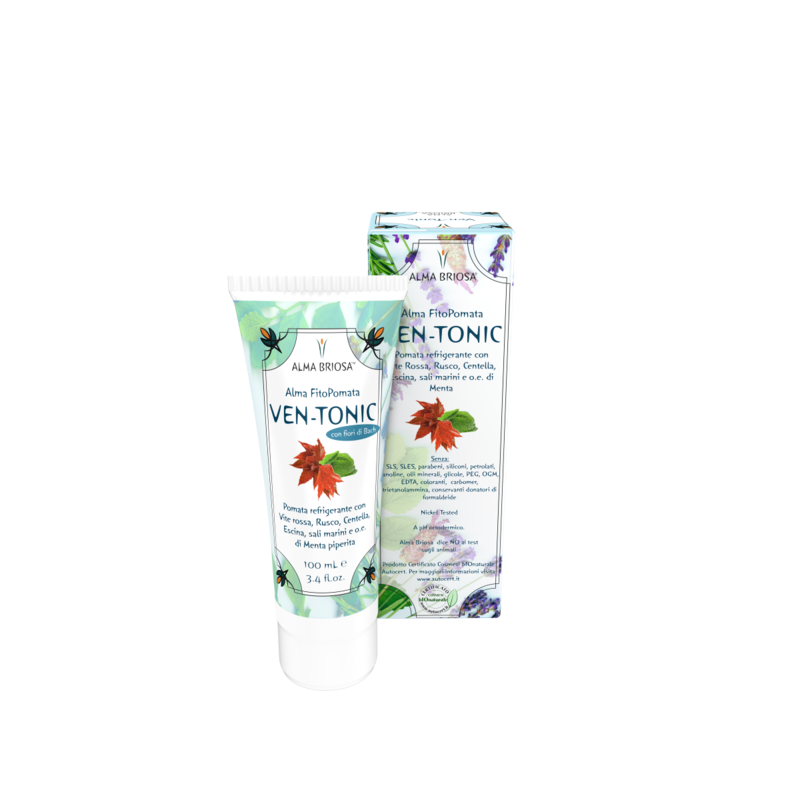 The ointment contains a floritherapic mixture, prepared with Dr. Bach’s methodology. It serves to alleviate emotional and psychosomatic uneasiness. The action of herbal extracts mixed with Dr. Bach’s remedies resolves both physical and emotional imbalances. Floritherapic mixture used: Centaury, Chicory, Clematis, Hornbeam, Vine. Use: apply on legs, massaging bottom up until completely absorbed. It may be helpful to keep legs slightly raised to promote blood circulation. The cream can be stored in the refrigerator to provide a better cooling action once applied. INCI	 INGREDIENTI/INGREDIENTS: Aqua**; Glycerin**; Cetearyl Alcohol**; Cetyl Alcohol**; Glyceryl Stearate**; Dicaprylyl Carbonate**; Mentha Piperita (Peppermint) Oil**; Menthol**, Caprylic/Capric Triglyceride**; Cetearyl Glucoside**; Xanthan Gum**; Ruscus Aculeatus Root Extract**; Vitis Vinifera Grape Fruit Extract**; Aloe Barbadensis Leaf Juice*/**; Centella Asiatica Extract**; Tilia Cordata Flower Extract**; Escin**; Maris Sal**; Centaurium Erythraea (Centaury) Flower Extract**; Clematis Vitalba (Clematis) Flower Extract**; Cichorium Intybus (Chicory) Flower Extract**; Carpinus Betulus (Hornbeam) Flower Extract**; Vitis Vinifera (Vine) Flower Extract**; Benzyl Alcohol; Potassium Sorbate.